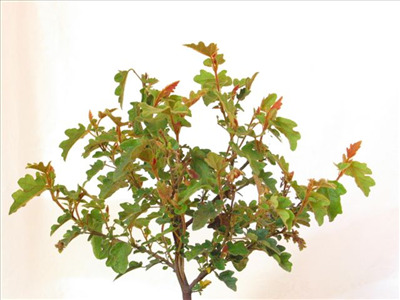 Handsome hardy shrub with oak-like green leaves and dainty pink bell shaped flowera appearing in spring. Lignotuberous. Beautiful landscape shrub.